Hi everyone! This is GiGi from The Cricug Bug and I have a card to share. I used the Alice-Full Of Wonder stamp set to create my card. I started this card with a standard A2 card base and added the backgrounds mat cut with the Jaded Blossom Card Mat Dies. 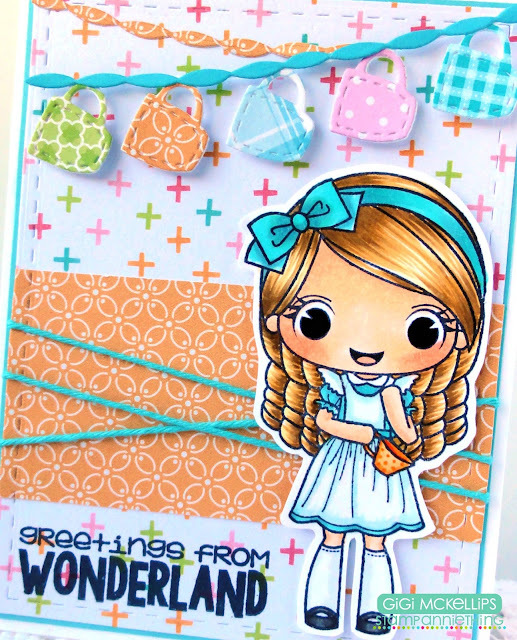 I stamped and colored Alice with Copic Markers and pop dotted her to the card. I added the tea cup banner cut with the Coffee Banner Dies and the ribbons cut with the Banner Dies. 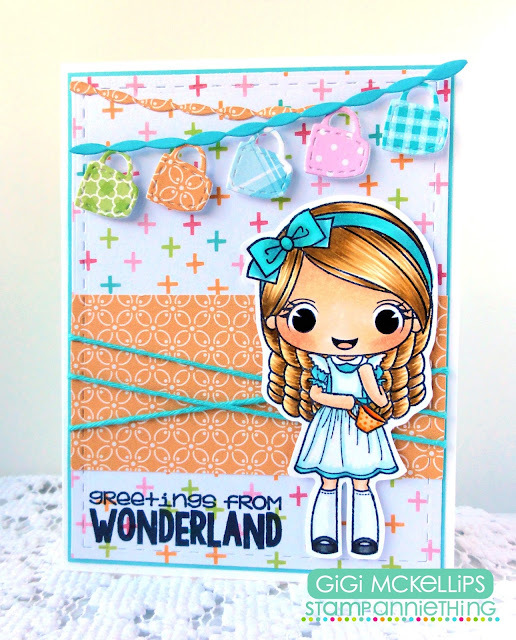 To finish, I stamped the sentiment from the Greetings From Wonderland stamp set.